VHCA Safety Committee Chair Peggy Berg, VHCA President Jack White, and PEDS President Sally Flocks appeared at the Council Utilities Committee on June 24th asking that pending legislation 14-O-1240 be held. 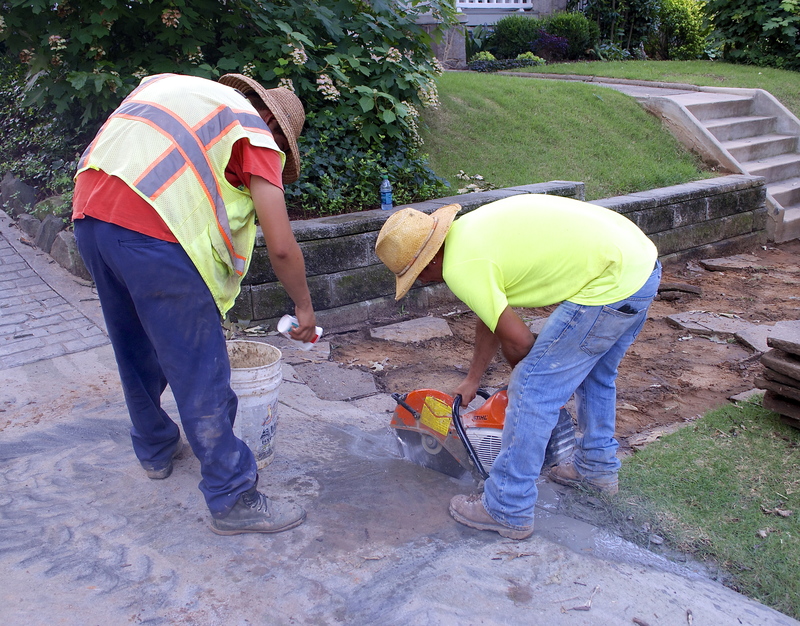 The proposed legislation reflected the Department of Public Work’s calculation that the actual cost of sidewalk repairs made by the city was $10.28 per square foot – the existing rate is $3.90 – and increased the charge to taxpayers accordingly. While the Department’s methods of cost calculation were challenged (and left unexplained), that was not the only topic on the table. All three speakers pointed out that the key obstacle to successful sidewalk repair is that the city code makes each individual lot owner legally responsible for segments that abut their property, an approach that makes economies of repair and large-scale construction efficiencies impossible. The city also has stringent bonding requirements in place for individual contractors; that notion has merit, but it makes the cost of a contractor’s mobilizing for a small repair (like a lone sidewalk) extremely high. One of the results is that most of the legal sidewalk repairs undertaken by homeowners in VaHi are part of a larger renovation project. Additionally, the city – through the Parks Department – has domain over the trees in the sidewalk strips (the area between the sidewalk and street). The city’s role in a healthy tree canopy is obvious and vital, but because those trees are not infrequently a factor in broken sidewalks, getting appropriate approvals for construction around them results in another administrative cost for private citizens. All three speakers pointed out that there are huge efficiencies of scale available to municipalities that individual owners can never obtain, and that no large city in the nation has successfully maintained its sidewalks with such an approach. The speakers also noted that Georgia Tech professor Randy Guensler (himself a VaHi resident) and his grad students in the School of Civil and Environmental Engineering are in the midst of a formal sidewalk evaluation project that could be used as a guide to an efficient and effective repair program. 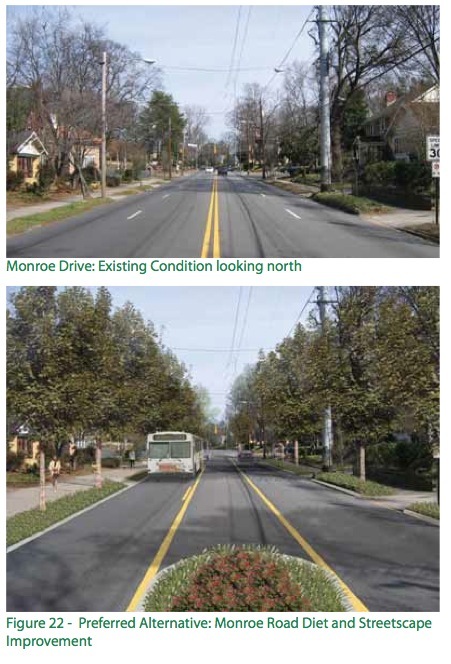 The role of good sidewalks in a vibrant pedestrian community like Virginia-Highland is obvious; the importance of walking and biking were assets that many citizens cited through their input into the recently adopted VaHi Master Plan. After the presentations, the Committee tabled the legislation in favor of a more comprehensive review of the entire issue. VHCA intends to be part of that ongoing discussion. Thank you to our District 6 Council Member Alex Wan and our At-Large council member Mary Norwood, who joined Committee Chair Natalyn Archibong, Howard Shook, Yolanda Adrean, and Andre Dickens in the unanimous vote. At its Monday night meeting, NPU-F reacted strongly against the City’s proposal to nearly triple the price it charges to repair sidewalks. The proposed price is $10.28/sq. ft. compared to the current $3.90/sq. ft. 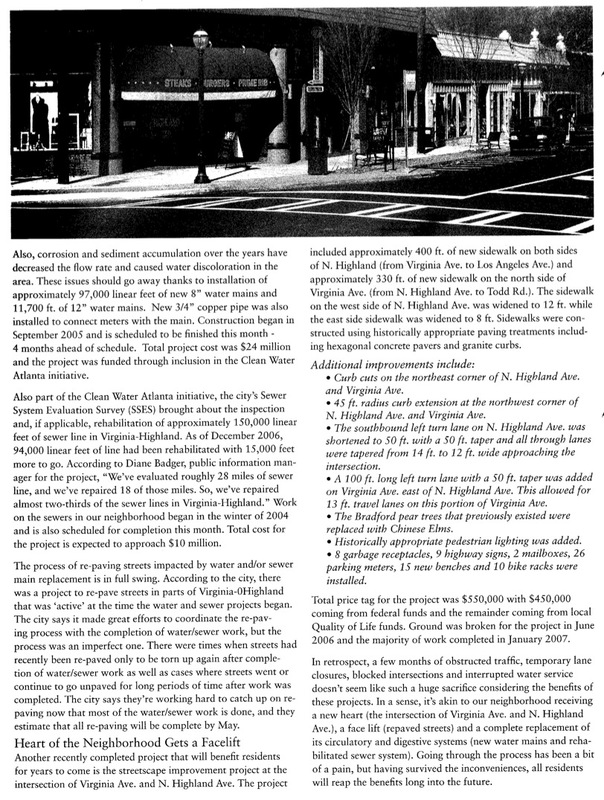 In Virginia-Highland, where the VHCA has worked with property owners for three years to improve our sidewalks, this increase would surely impede our ability to make further improvements. 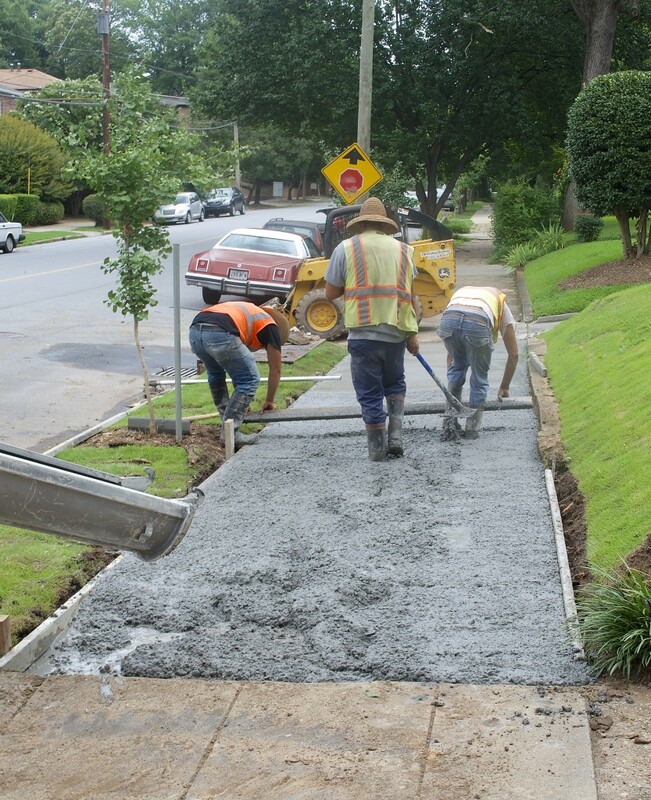 The proposed legislation enables the City to collect money for sidewalks without making any commitment as to how many months or years they would hold the funds before actually delivering the work. In addition, the legislation includes no reporting or accountability requirements. In fact, the City still has not implemented the recommendations from a recent study to reduce its sidewalk red tape, which is the major factor driving up the cost of sidewalk repairs. NPU-F passed a motion against this legislation. However, City Council still has the option of passing it. You can let City Council know how you feel about this by emailing Alex Wan at awan@atlantaga.gov, and our at-large representatives adickens@atlantaga.gov, mnorwood@atlantaga.gov, mbond@atlantaga.gov and ccmitchell@atlantaga.gov. Happily, the city has allowed a few additional properties to join the repair bundle currently being installed. 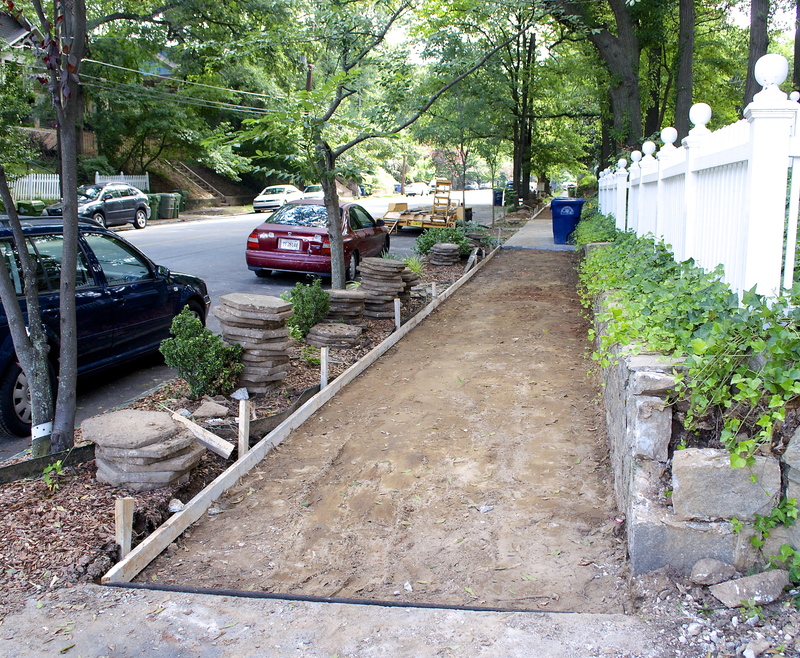 If you have been considering repairing the sidewalk abutting your property, the current $3.90/sq. ft. price should be available until any new price is approved by City Council. You may wish to consider acting now rather than later. If you’re interested in learning more, contact VHCA Safety Chair Peggy Berg at safety@vahi.org or the city at ljeter@atlantaga.gov. 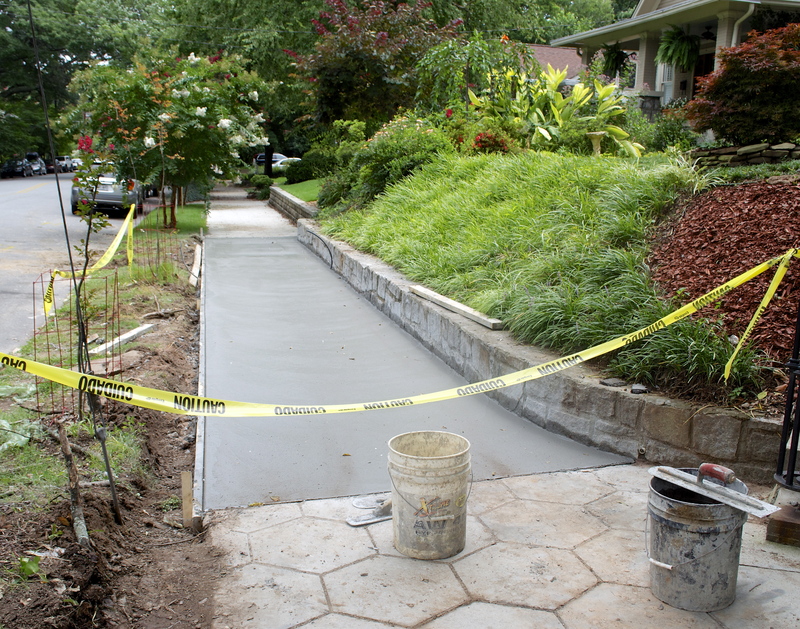 If you’ve been watching all the new sidewalk being installed on St. Charles Ave. and are wondering how you can make similar improvements in front of your home, VHCA safety chair Peggy Berg wants to hear from you. The window of opportunity to participate in the most recent sidewalk repair bundle organized by Peggy has been reopened for a limited time. If you’re interested in having the sidewalk, curb and/or driveway apron in front of your home repaired at today’s price of $3.90 per square foot (for sidewalks – Peggy can provide pricing for driveway aprons and curbs), the time to act is now. 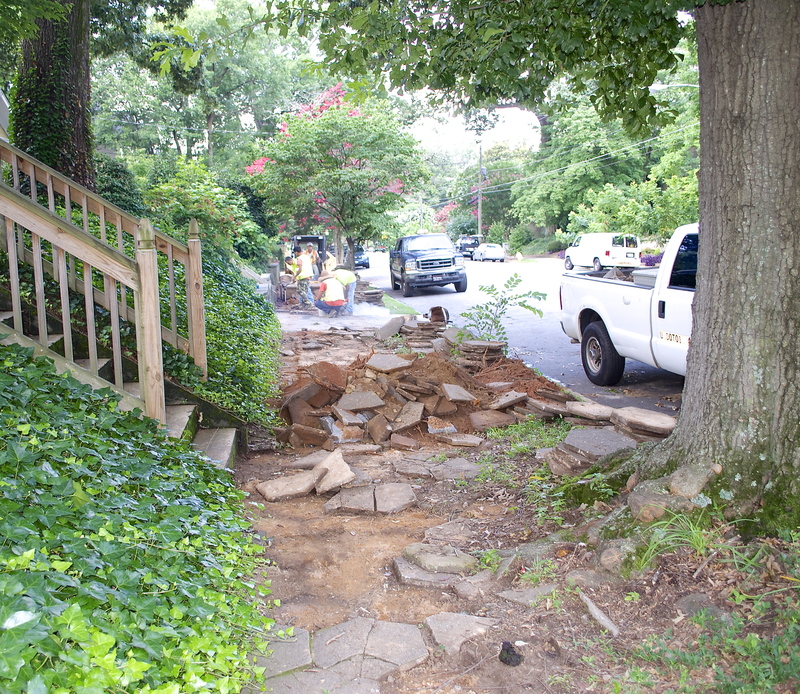 The city has suggested – although not yet confirmed – that the cost for residents to repair sidewalk may rise significantly in the near future, possibly to as much as $10-12 per square foot. Background information on the challenges the city faces in maintaining its sidewalks can be found in this earlier Voice article. Interested residents should send an email to pegberg1111@gmail.com no later than Thursday August 8. Peggy will come measure your repairs and quote you a price no later than Monday August 12. You would then have until Sunday August 18 to get Peggy a check for the amount of the repairs made out to the City of Atlanta. 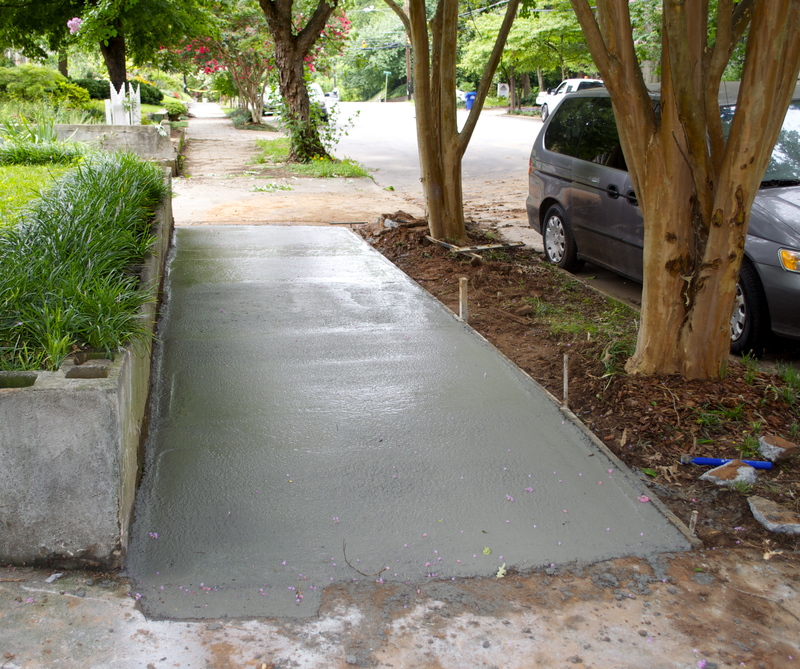 If your sidewalk needs repairing but you cannot afford to participate, the VHCA has limited funds available on a first come, first served basis. The VHCA can match up to $500 for residents with a financial need, while funds last. Re-opening this window to enroll will not impact the city’s estimation that work on this sidewalk repair bundle will be completed within the next 6-12 months. 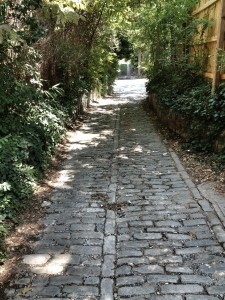 Scroll down to see a few pictures of the sidewalk that was repaired on St. Charles Ave. last week. 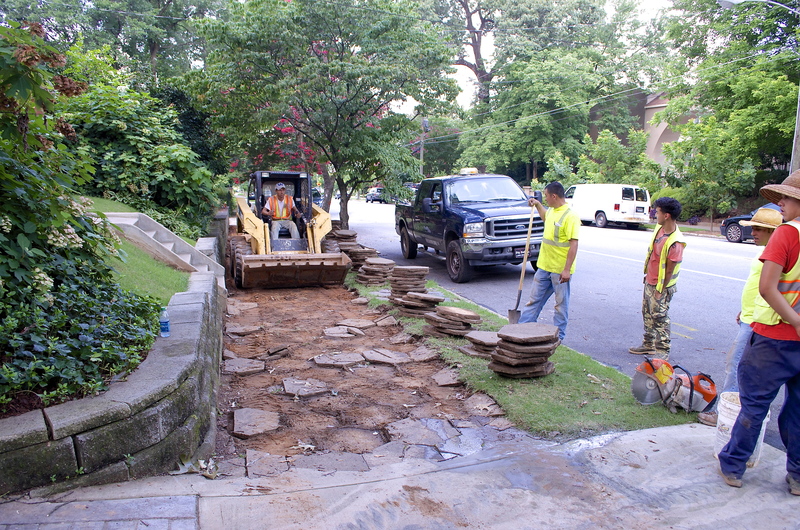 City of Atlanta workers started yesterday to demolish and remove old and damaged sidewalk along the south side of St. Charles Ave. in preparation for pouring concrete for new sidewalks in the coming days. We spotted workers busily removing old pavers on St. Charles near Bonaventure around noon today and stopped to welcome the workers to VaHi and take a few pictures. Scroll down to see images of the work done so far. One worker said they could begin pouring concrete as early as this afternoon at already-prepped areas on St. Charles near Ponce de Leon Pl. The worker said work will continue – weather permitting – over the next week or two to make repairs to all segments in the bundle. Click here for a list of locations included in the St. Charles bundle, submitted to the city by VHCA safety chair Peggy Berg earlier this year. 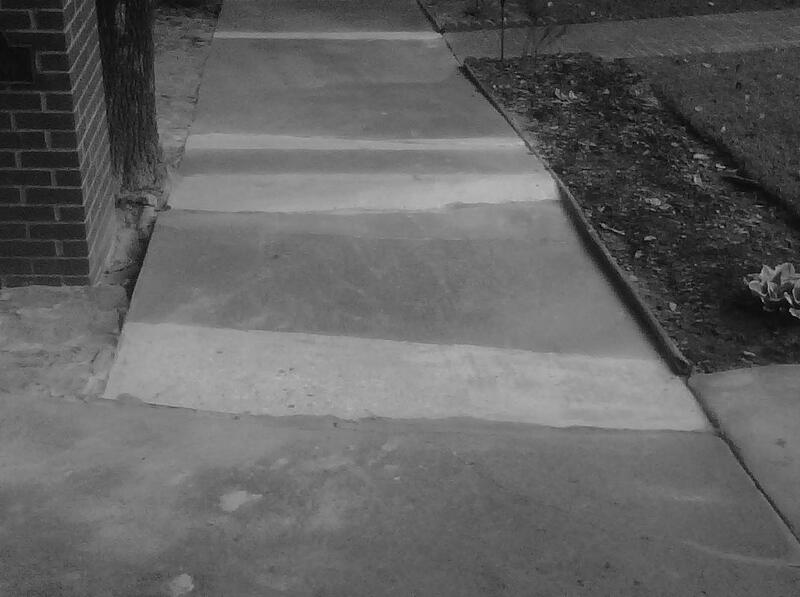 Several residents have asked for a list of addresses included in the St. Charles sidewalk repair bundle, and also the addresses included in the larger bundle recently submitted to the city by VHCA safety chair Peggy Berg. 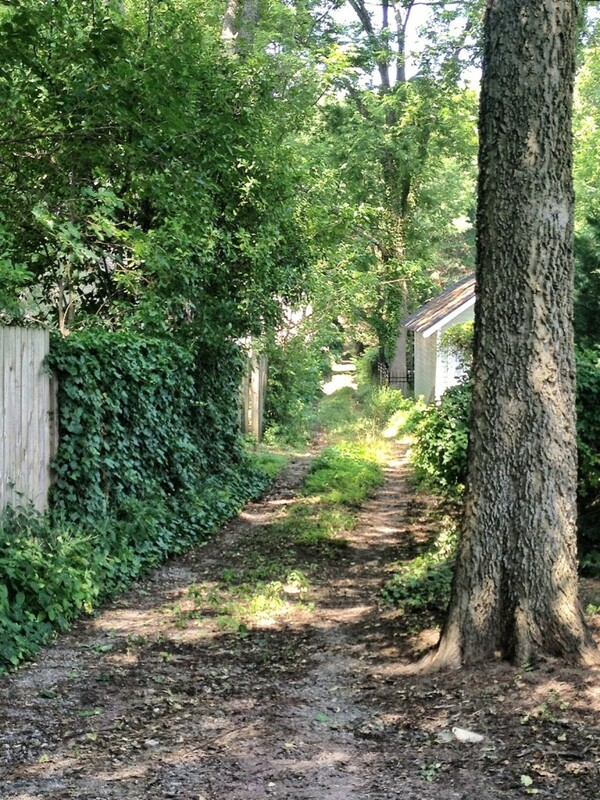 Click here to view the addresses included in the St. Charles sidewalk bundle submitted to the city many months ago by Peggy. Peggy’s been told the city will begin work on this bundle any day now – and recent prep activity seen on N. Highland Ave. seems to support that. Berg believes the city is now waiting only for a few consecutive days without rain to do the actual repair work. 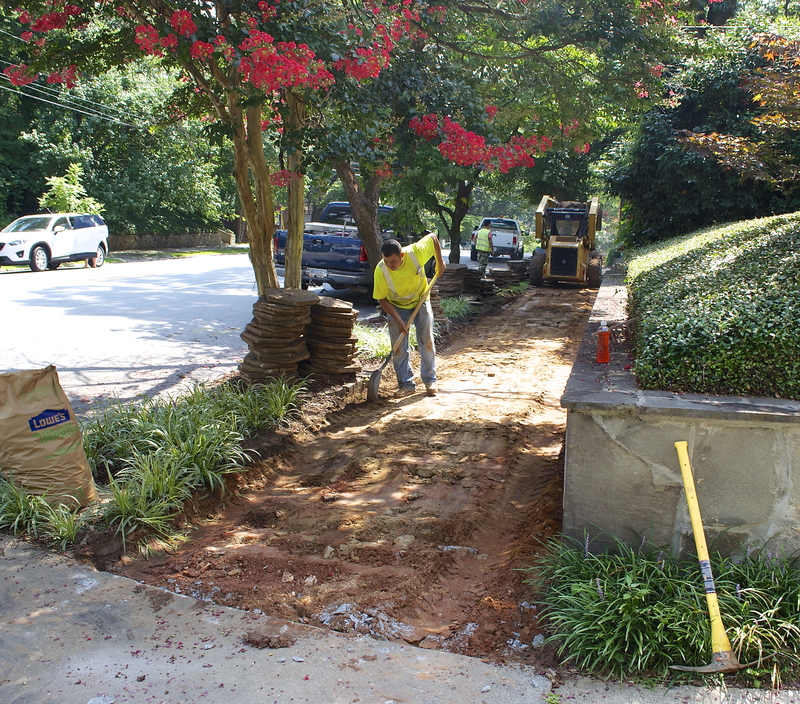 Click here to view the addresses included in the larger sidewalk/apron repair bundle submitted to the city by Peggy in June. The city has indicated it will be 6-12 months before these repairs are made. Sidewalk Success – By Any Standard! VHCA safety chair Peggy Berg gets the association’s gold star this week for her outstanding work rounding up residents to participate in the final sidewalk repair bundle before the city’s pending price increase. 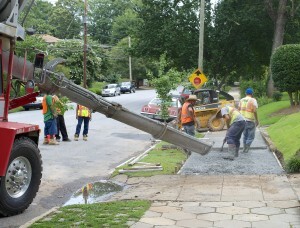 On Friday June 14, Peggy presented a check for $102,197 to the City of Atlanta on behalf of 125 residents who chose to have their sidewalks repaired now, as opposed to waiting until after the city’s new budget goes into effect July 1. Our understanding from the city is that sidewalk repair costs could increase by as much as three times what they are today at some point after the new budget goes into effect. Peggy worked tirelessly over the past few weeks talking with interested residents about their sidewalks, driveway aprons and curbs; measuring the work required; and quoting prices. Collecting checks was where the rubber met the road, so to speak, and Peggy did an incredible job following up with folks to make sure their checks were collected in time to meet the June 15 deadline. Unfortunately, the city won’t be quite as quick to make the repairs as Peggy was in her efforts to meet her submission deadline; Peggy says it could be 6-12 months before we see the work completed. 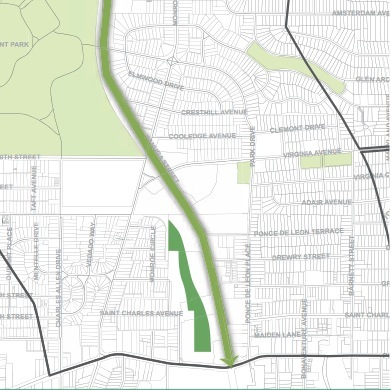 In as prime an example of good things coming to those who wait as we can imagine, the positive impact on the neighborhood’s walkability when the work is complete will be significant and long-lasting. If you’re seeking for some fairly short term sidewalk gratification, though, look no further than St. Charles Avenue where long-awaited repairs to the bundle Peggy collected last year are scheduled to be made within the next 30 days. 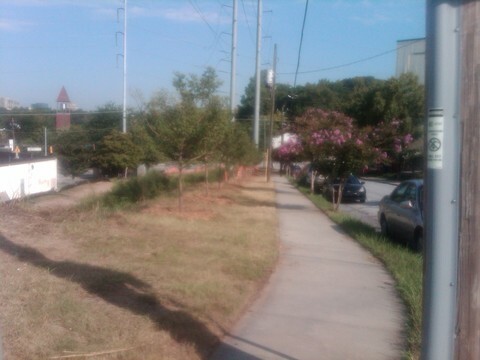 For sidewalk information: Peggy Berg (404) 512-9142; pegberg1111@gmail.com. 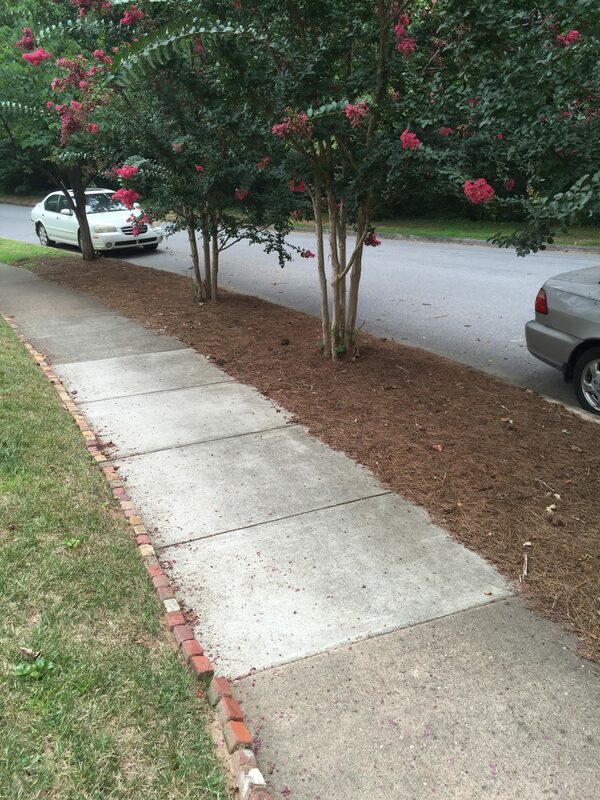 In Atlanta, sidewalk maintenance is the legal responsibility of the property owner. 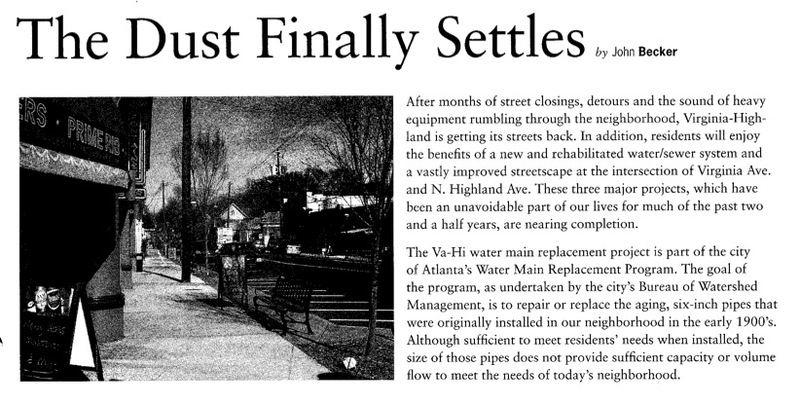 Such repairs may be done privately – which requires individual permitting applications for every repair, a cumbersome and costly deterrent to many citizens – or by City contractors. The City has done sidewalk repairs and replacements at $3.90 per square foot for many years; basically, this is the cost of the concrete, pour and finish. The City spends closer to $10 to $12 per square foot including demolition, erosion control and related costs. We understand the City is revising the amount it charges property owners from $3.90 per sq. ft. to $10 – $12 to cover its costs. New pricing will go into effect with the City’s new budget on July 1. 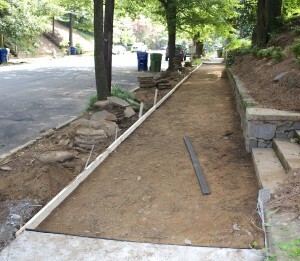 If the sidewalk abutting your property is in poor condition, now is the time to have it replaced. 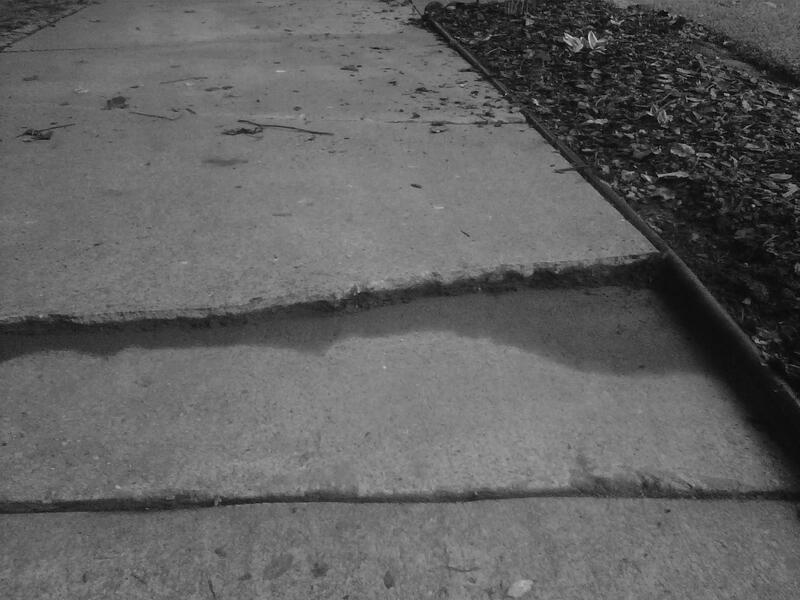 The City has also been considering requiring homeowners who have broken sidewalks to have them repaired at the new higher price. 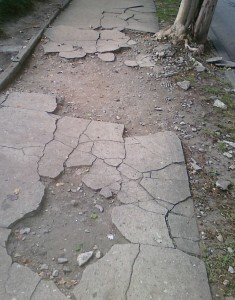 The City faces significant litigation costs because so many people get hurt on our broken sidewalks. It needs sidewalk repairs for pedestrian safety and to control legal costs. If repairs are made under today’s pricing – requiring payment by June 15, 2013 – the average Virginia-Highland homeowner’s cost would be about $1,200. 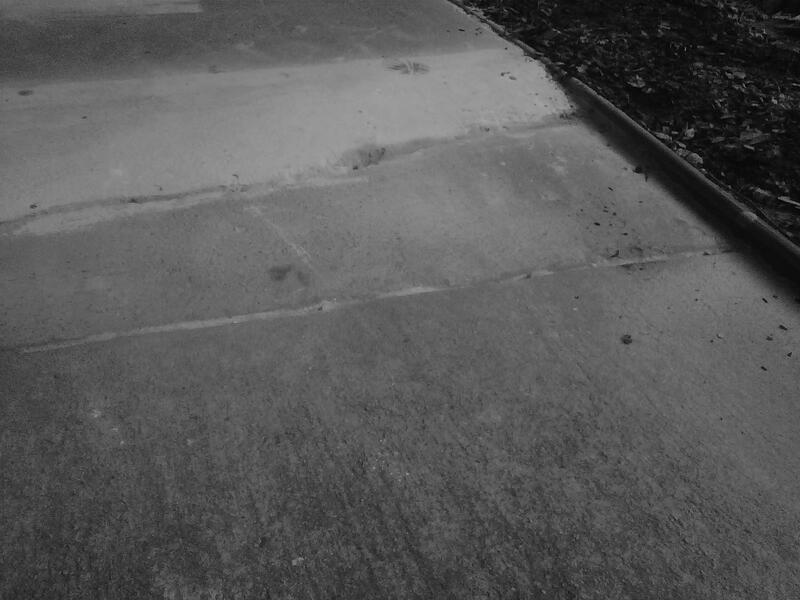 When the new budget goes into effect, the cost to repair that same sidewalk could be $3,600 or more. 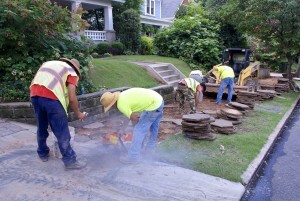 The VHCA is organizing a bundle of sidewalk repairs before the higher pricing goes into effect. 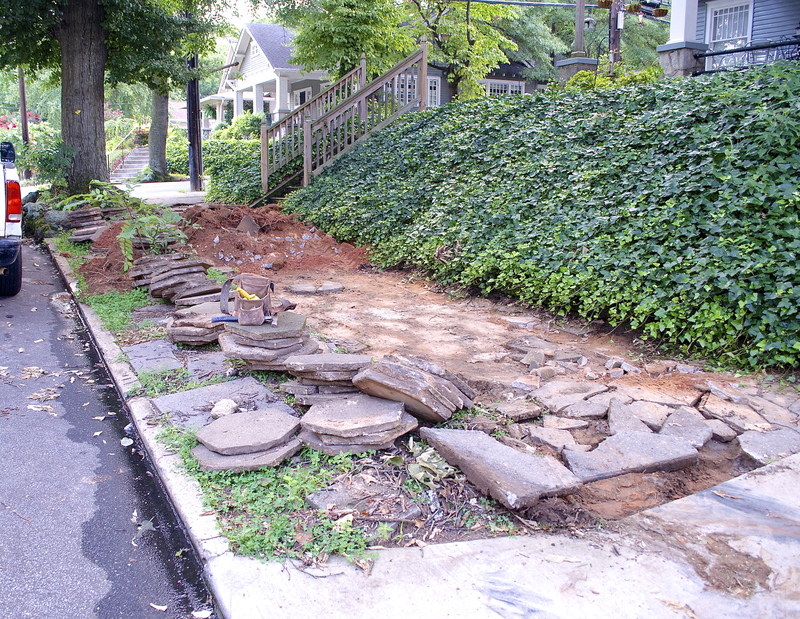 The association will get you a price for your sidewalk and will also act as intermediary with the city to get the repairs made. If you cannot afford to participate, the VHCA has limited funds available on a first-come-first served basis to help. The VHCA can match up to $500 for neighbors with a financial need, while funds last. To participate at today’s cost we need to have your check for the repairs no later than June 15. To participate, or if you have any questions, contact Peggy Berg at (404) 512-9142 or pegberg1111@gmail.com. 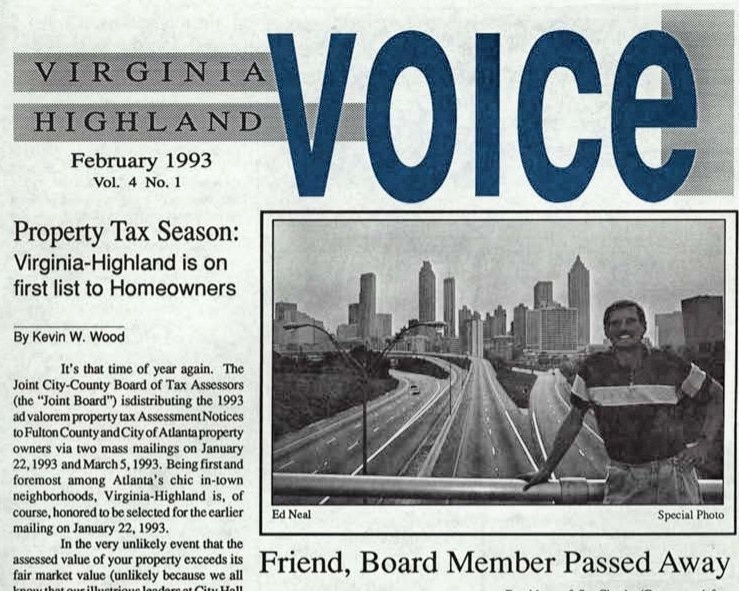 Over the last 30 years, the challenge of improving sidewalks has been an enduring one for the residents of this community and for the Virginia-Highland Civic Association. 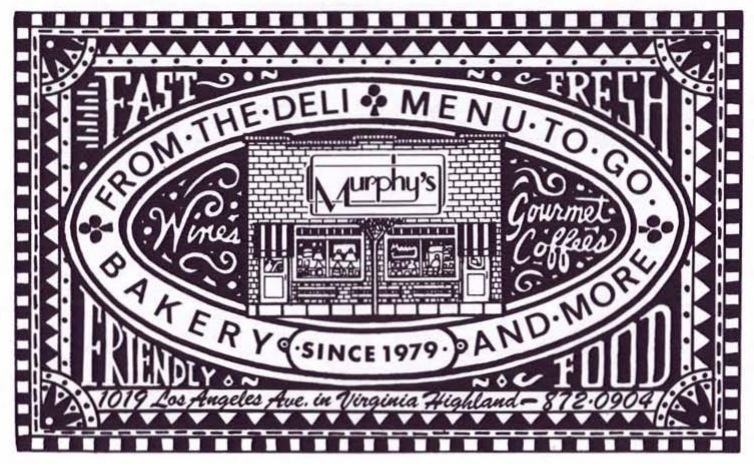 The newsletters of the last three decades are full of stories on the subject. 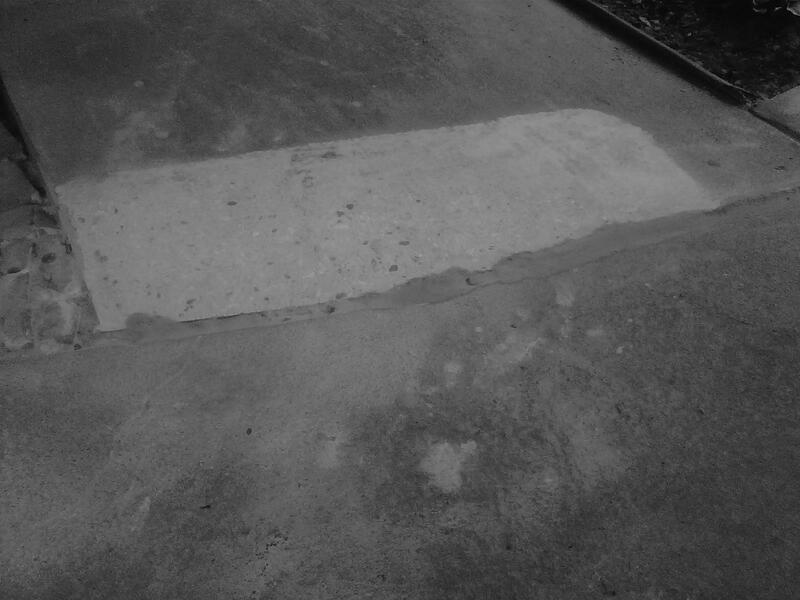 Some municipalities pay to fix sidewalks from the general fund, collecting taxes from all property owners to cover the cost. Other cities, including Atlanta, make property owners responsible for sidewalks abutting their property rather than sharing the cost across properties with and without sidewalks. 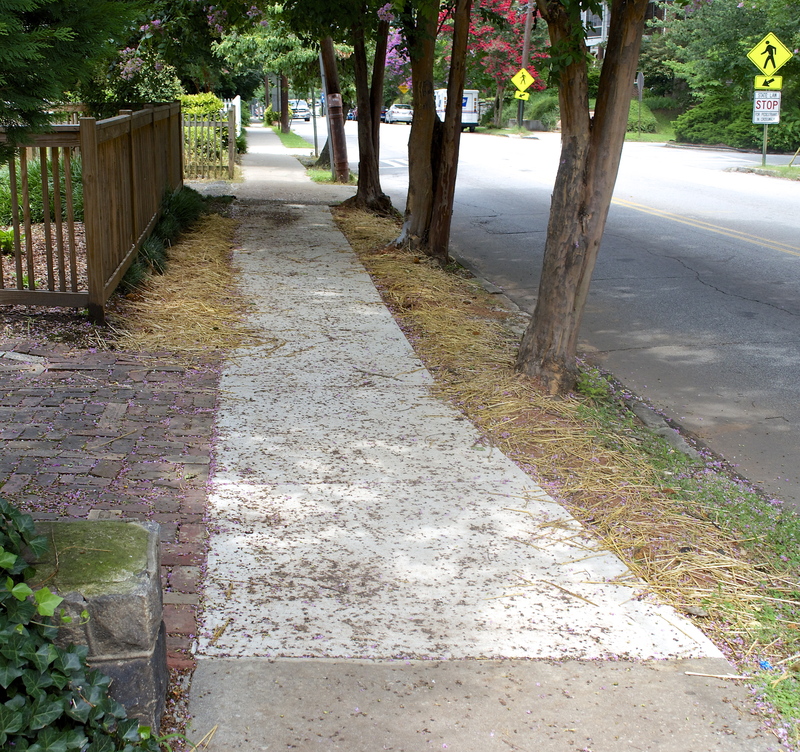 Given Atlanta’s budget and reluctance to increase property taxes, it seems likely that abutting property owners will continue to be responsible for their sidewalks. In theory, the city can cite property owners, make repairs independently if the owner fails to act, and charge the property owner for the cost of repairs. 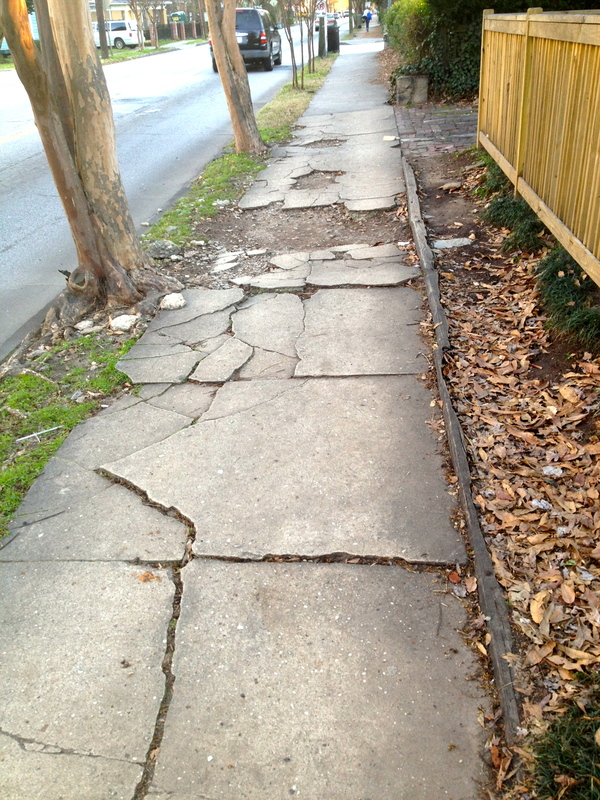 In fact, the city has never made a systematic effort to require abutting property owners to fix sidewalks. But that may be changing. The City is under increased pressure to improve sidewalks for several reasons. 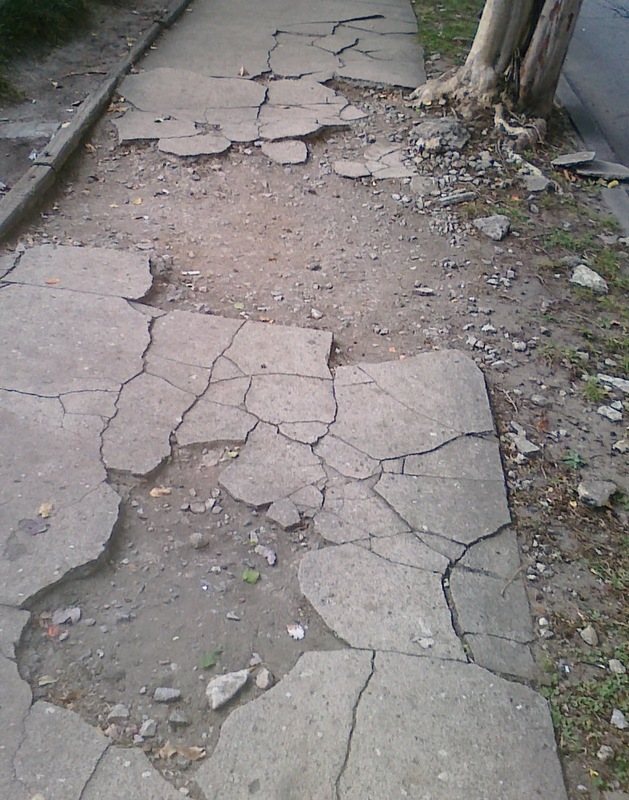 First, the sidewalk system has been allowed to deteriorate for so long that it has become a real problem for pedestrians. 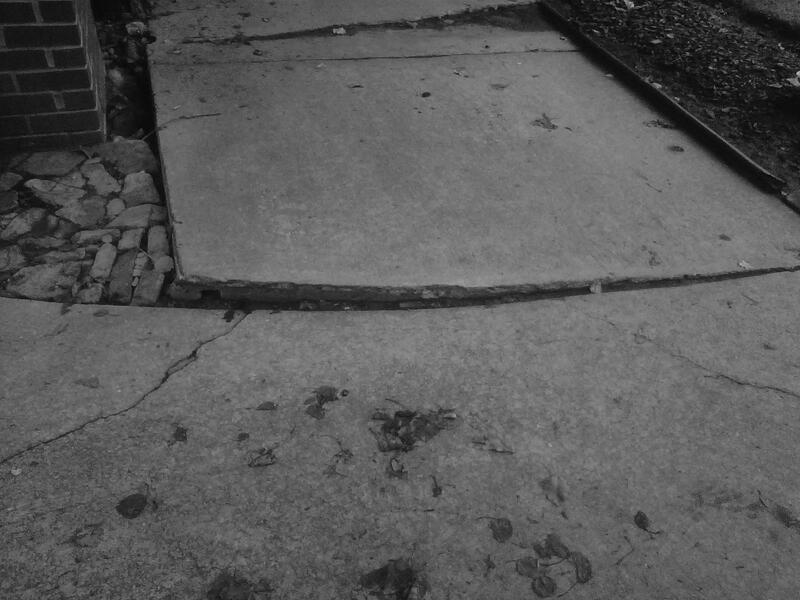 Second, broken and uneven sidewalks are dangerous; people fall and get hurt and sue the city, which is now dealing with many lawsuits and millions of dollars in liability losses. In addition, Federal ADA legislation requires sidewalk improvements; Atlanta is not in compliance. Without a budget for sidewalks, and with increasing pressure from citizens who like to walk, from the courts and from the Federal government, the City needs a way to get sidewalks repaired. We are informed that pressuring property owners to comply with regulations and pay for repairs is one approach being considered. As an inducement, the City may also be considering ways to facilitate such payments by making it possible to pay for the repairs over time. Either approach would be better than the status quo; neither is certain. We note the obvious: it is fundamentally wasteful of taxpayer dollars to spend millions on lawsuits and to budget no money at all to repair the sidewalks that are the underlying cause of the losses. The proposed 2014 City budget has not been adopted, but its current version contains no sidewalk line item, we are informed. For years, the City has charged property owners $3.90 per square foot for sidewalk replacements – about $1,200 for a typical Virginia-Highland sidewalk 55 feet long and 5-6 feet wide. Unfortunately, revenue at that level only covers the cost of the concrete, poured and finished; it does not include the other costs of demolition, removal, grading, erosion control, insurance, etc. The City is planning to increase the charge to abutting property owners in order to cover their analyzed full costs, which will increase the fee to $10 to $12 per square foot, about $3,600 for the same size sidewalk calculated above. 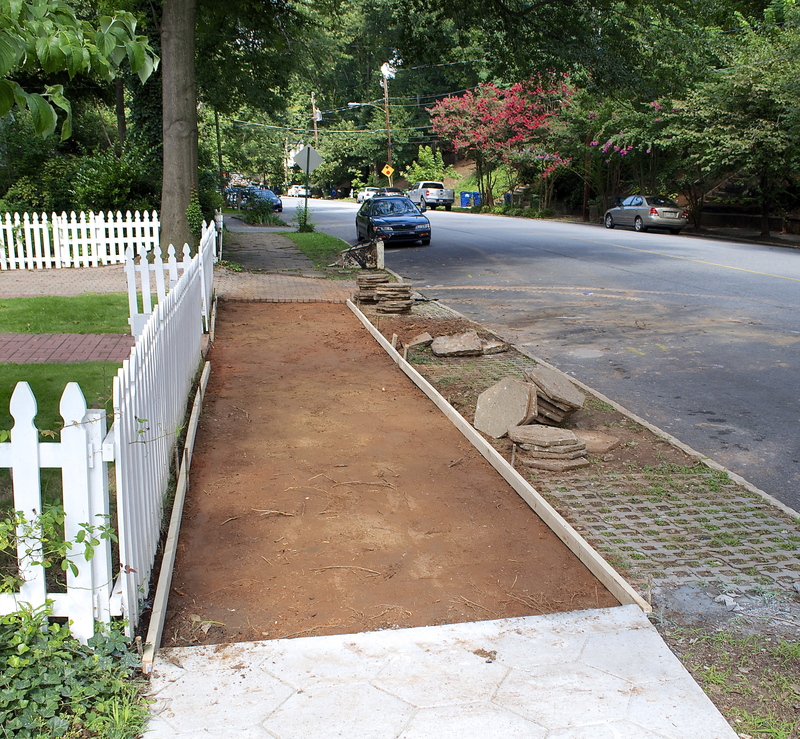 Independent of city enforcement, VHCA has offered a variety of enticements over the years that offered to share costs of sidewalk repairs with homeowners. 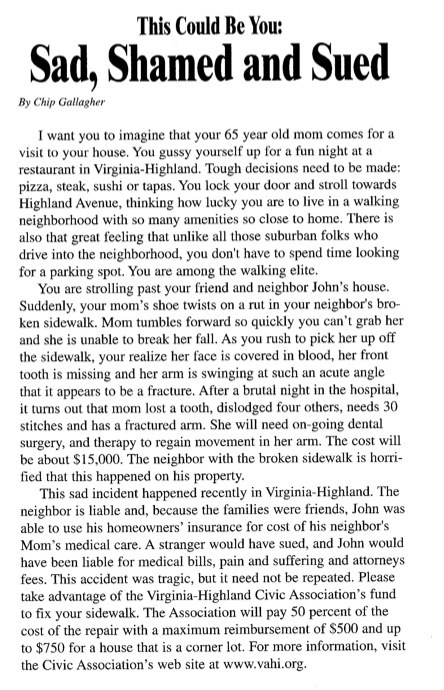 Those programs have usually been vigorously debated within the Board, with proponents pointing out that we all benefit from the walkability and safety of good sidewalks and opponents believing that all owners ought to meet their own responsibilities. 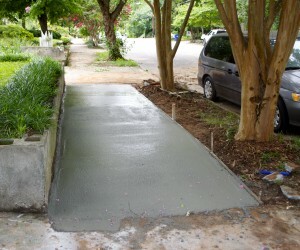 A few – but not many – citizens have fixed their sidewalks with the assistance of the association. As it turns out, unless a homeowner is doing a larger project, it’s not at all easy to find a contractor who’s willing to go through the considerable challenges of permitting a small repair without charging a (fair but hefty) fee for all the time required. It’s been a very real challenge, which has stopped many residents from repairing their sidewalks and induced others to do the work without permits or inspections. Last year VHCA started a program to have neighborhood sidewalks repaired in bundles. Not surprisingly, it’s more cost effective for the City to do a bundle of sidewalks close together than to do single sidewalks one at a time scattered around the City. The VHCA canvassed owners along St. Charles Avenue and its cross streets (an area of particularly dire need) and an uncertain Board was convinced to subsidize part of the bill for those who needed help. A total of 31 sidewalk segments were in the bundle and VHCA delivered payment to the City on August 23, 2012. That bundle is scheduled to have concrete poured by early June. 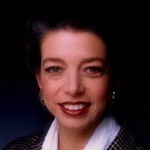 Contact Peggy Berg at (404) 512-9142 or pegberg1111@gmail.com and give her your address. She will get you a price for your sidewalk. Get Peggy a check made out to City of Atlanta. VHCA will manage the process with the City. 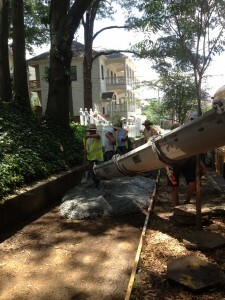 Based on existing experience, we expect it to take about a year to get the sidewalks poured. It may happen sooner, but please note that we don’t directly control that. If you are financially unable to participate, the VHCA can help. For those with a financial need, the association will share the cost up to $500. We have $14,000 available to help people who could not otherwise participate. First come, first served. 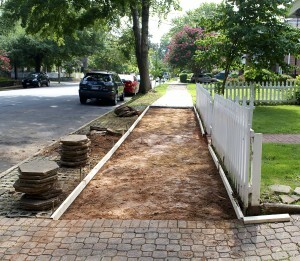 This is a chance to fix your sidewalk at a price that’s a lot cheaper than it will be in the future. That’s a real benefit to everyone; this is a community of walkers, which is good in all the obvious ways. We will be safer and more active with good sidewalks. 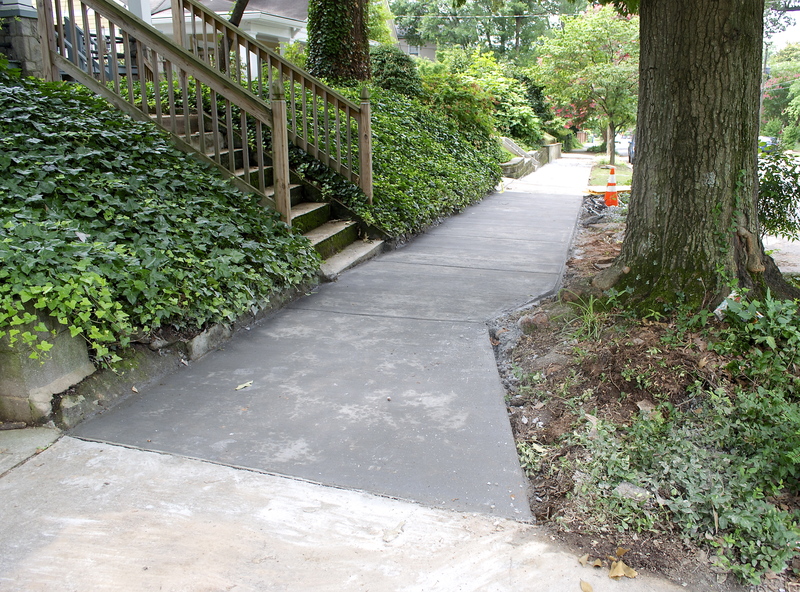 Call or email Peggy Berg with any questions about our sidewalks and about getting your sidewalk fixed. (404) 512-9142 or pegberg1111@gmail.com. 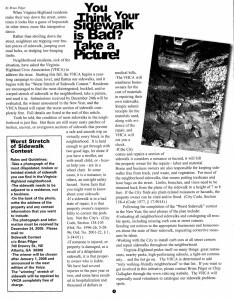 On February 14, 2013 reports from four sidewalk sub-committees were presented to members of City Council and city government. Links to the presentations can be found below. Peggy Berg, Chair of the VHCA Sidewalk Committee, presented on red tape in the city’s sidewalk process and on neighborhood initiatives. 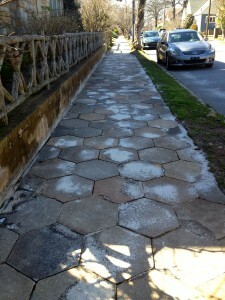 What Goes Around, Comes Around – Even Hexagonal Pavers! 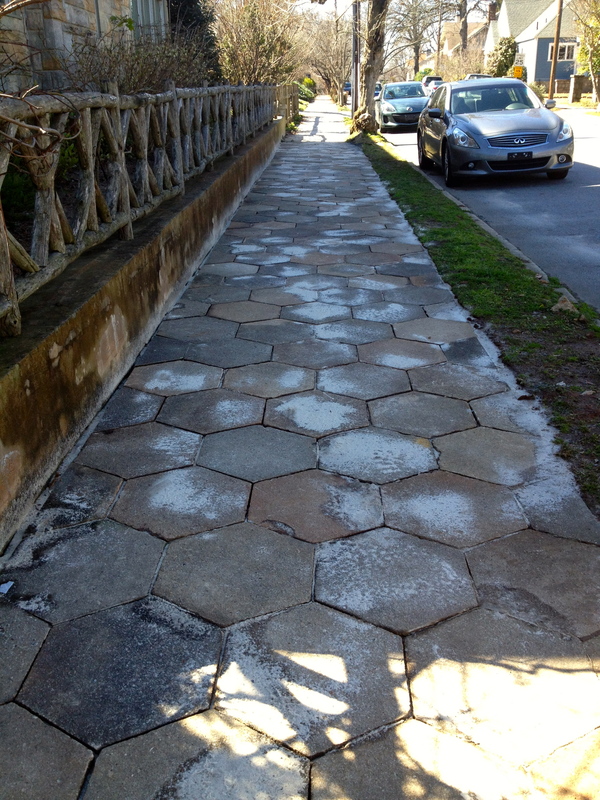 If you’re thinking about repairing or replacing the sidewalk adjacent to your home and you’re a fan of hexagonal pavers, you might want to follow the lead of Ann and Anthony Guy. The Guys recently redid the sidewalk that runs along the Adair Avenue side of their home (see before/after pictures below) using pavers recycled from St. Charles Avenue. VHCA volunteers collected the pavers that the city was planning to discard when new sidewalk was installed on St. Charles last summer. The pavers were stockpiled so that neighbors with a ‘paver passion’ can retain the look of the neighborhood’s original sidewalks. The money the Guys paid for these recycled pavers goes into a special VHCA fund. 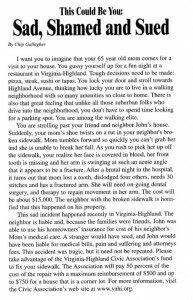 The fund will be used to provide financial assistance to other neighbors who would not otherwise be able to participate in the next bundle of sidewalks assembled by the VHCA sidewalk committee. A limited number of additional hexagonal pavers are available to others who want to do as the Guys did. Pavers are $6 for VaHi residents, $8 for non-residents. Contact Peggy Berg at 404-236-9064 or pegberg1111@gmail.comfor more information or to order pavers. 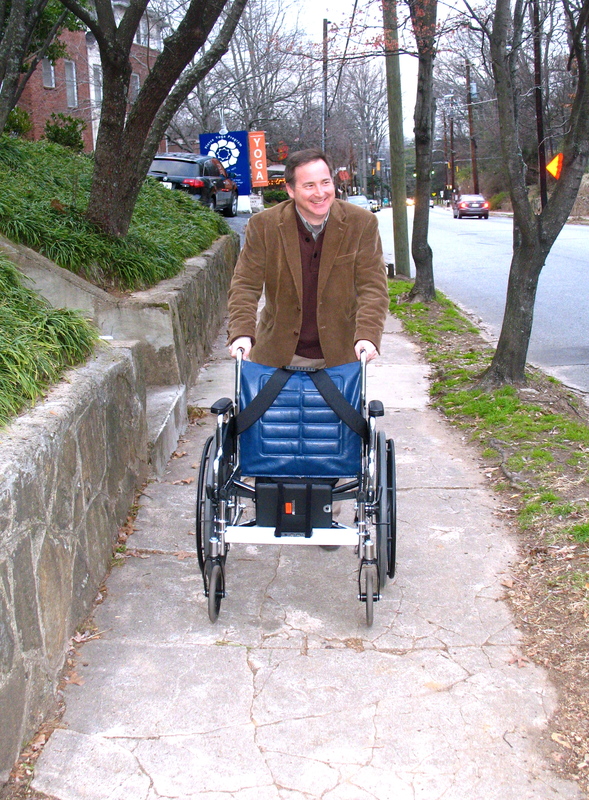 Dr. Randy Guensler and his "Sidewalker"
Did you know that Atlanta, like many cities, doesn’t have an inventory of its sidewalks? We don’t know how many miles of sidewalks we have, where they are or aren’t, or where repairs are needed. This makes planning for pedestrian access, ADA compliance, and efficient use of sidewalk funds very difficult. Dr. Randall Guensler, Professor in the Transportation Systems Engineering Group at Georgia Tech, (http://transportation.ce.gatech.edu/guensler) has developed an innovative new approach to assessing the condition of our sidewalks. Dr. Guensler, a Virginia-Highland resident, fitted a tablet device onto a wheelchair and programmed the rolling contraption to take video, measure cracks and bumps, and upload latitude and longitude coordinates to a mapping system. Volunteers can quickly be trained to maneuver the wheelchairs. That’s right…Atlanta is about to have a cost effective way to collect information on our sidewalks, develop an inventory, and assess sidewalk conditions. Dr. Guensler will demonstrate his “Sidewalker” at this month’s VHCA board meeting (Monday Feb. 11, 7 PM, Ponce library). Pedestrians, potential volunteers and interested parties are welcome. With repair work set to begin soon on the neighborhood’s first identified sidewalk bundle, the Sidewalk Committee is looking for more sections of VaHi sidewalk in need of repair. If there’s a section of sidewalk in the neighborhood you’d like to see fixed, email the location information to pegberg1111@gmail.com. The committee will select sections of sidewalk based on pre-defined criteria and neighbor interest is a significant factor. 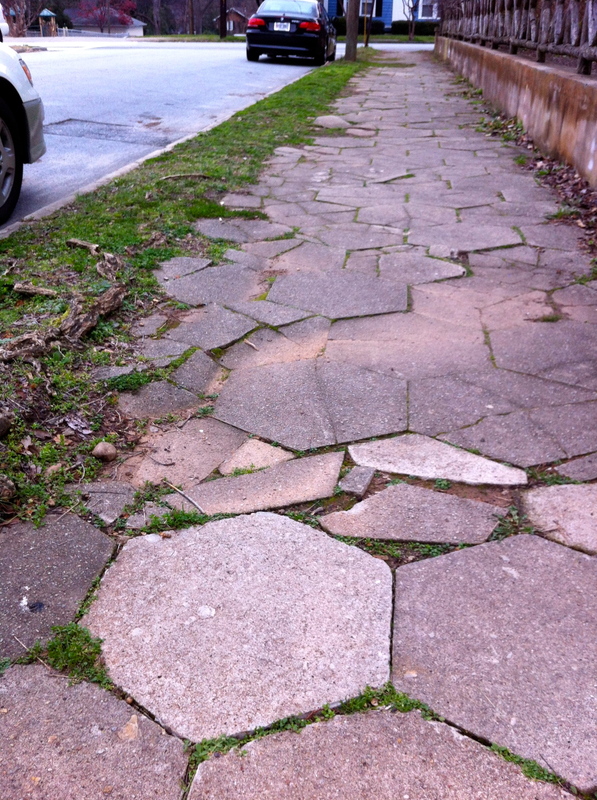 As sections of sidewalk are selected, the committee will contact homeowners to request participation in the repair work per the terms of the VHCA’s sidewalk repair and funding program. 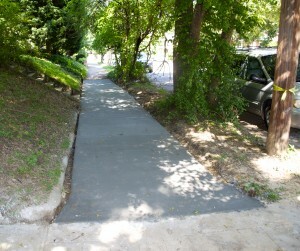 The VHCA’s sidewalk repair program handles all interaction with the City for the property owner. 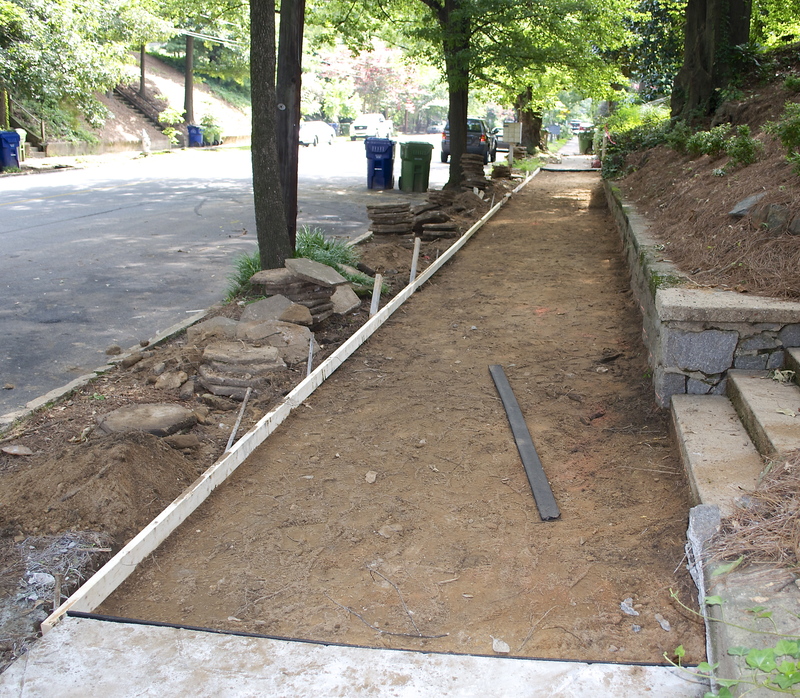 In case of financial need, the funding program contributes up to half the property owner’s cost of replacing a sidewalk, as part of a bundle, up to $500 for a segment. If a property has two segments (corner properties have a segment in front and one on the side) the program will contribute fully for the first segment and up to $300 or 50% for the second segment, if there is a financial need. Click here for more information on the VHCA’s sidewalk program. Areas already on the list as needing repairs are: Cresthill Ave.; Briarcliff Pl. 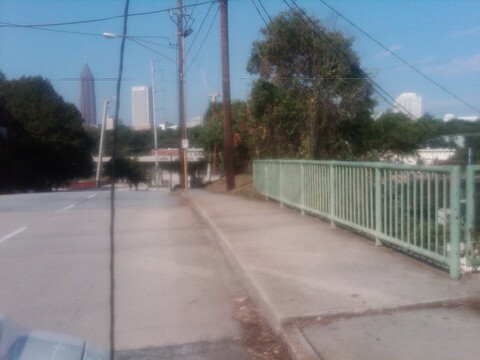 between N. Highland and Briarcliff; Amsterdam Ave. east of Monroe and around the corner to Brookridge; Brookridge Dr. after the bridge; Drewry St.; and Greenwood Ave. from N. Highland to Ponce Pl. Please submit any suggestion you have for sidewalks in need of repair not already on this list. The first bundle of sidewalk for which repairs are currently scheduled is along St. Charles Avenue. As of late September, that work was scheduled for completion within 4-6 weeks. 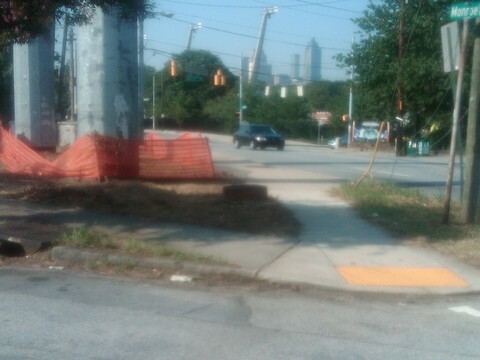 At first this area only presented a pedestrian hazard with the destruction of the sidewalks here – but City of Atlanta had the contractor move the “sidewalk closed” sign eastward to PDL Place solving that problem. But, now the contractor has moved out into the traffic lanes – effectively forcing westbound traffic in the curbside lane to move over. I reported this to Public Works – but they have deferred to the GaDOT – since PDL Avenue is a state highway. Hope a warning sign is posted soon before there is a terrible accident in this area.